Shampoo & Grooming There are 20 products. Flexible rubber glove with hundreds of rubber tips. Cleans the animal in minutes, wiping away loose hair and dust quickly. Use the pin brush side to untangle mats and snarls, then use the bristle side to finish and bring out the shine of the coat. 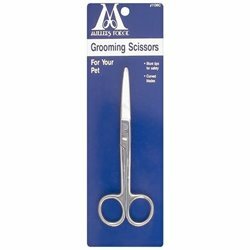 Use in long strokes to remove dead and shedding hair. Regular use helps to reduce hairball problems. 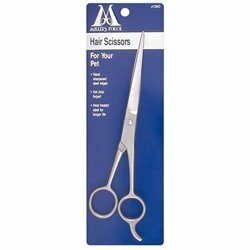 Designed to suit either medium or long-haired cats. This Single Speed Pet Grooming Clipper makes pet grooming easier. Removes fleas and their eggs from the coats of dogs and cats. 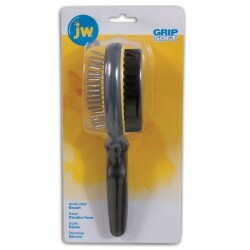 Removes loose hair, dust and dirt quickly and effectively. 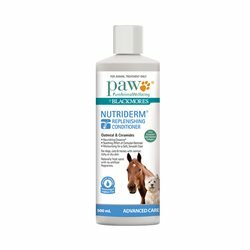 PAW NutriDerm® Replenishing Conditioner is an innovative, advanced way to moisturise and provide key nutrients to your dog’s skin as well as leaving the coat silky smooth and fresh. Suitable for dogs, cats & horses with normal, itchy or dry skin. Self Cleaning Slicker Brush has an easy to use push button slide that helps to lift the fur from the brush for easy cleaning. Rufus & Coco Water Free Wash is a professionally formulated dry grooming powder, suitable for all pets, especially those that dislike water. 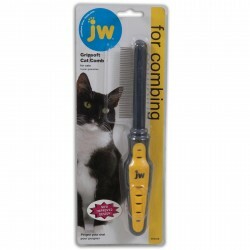 Nail trimmer for cats, used for maintaining nails at a comfortable length. 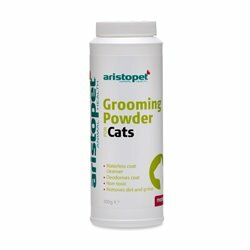 Aristopet Grooming Powder for Cats is ideal to use between baths to keep your cats coat fresh and clean. Use for the soothing effects of colloidal oatmeal for normal, itchy or dry skin. Gently but effectively cleanses the skin and coat on dogs and cats. An aid in soothing and restoring itchy dry skin on dogs and cats. Also suitable for helping to maintain skin health in normal dogs and cats. Helps to maintain the barrier function of the skin. 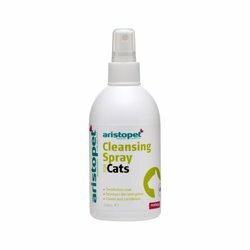 Aristopet have developed this cat cleansing spray to help keep your cat clean. 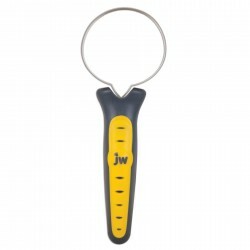 It gently removes dirt and dust without stripping the coat of essential oils. 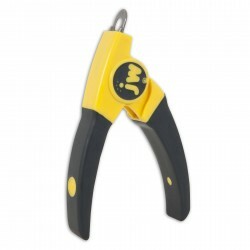 Ideal for trimming, shaping and smoothing the rough nails of cats, dogs, birds & small animals.